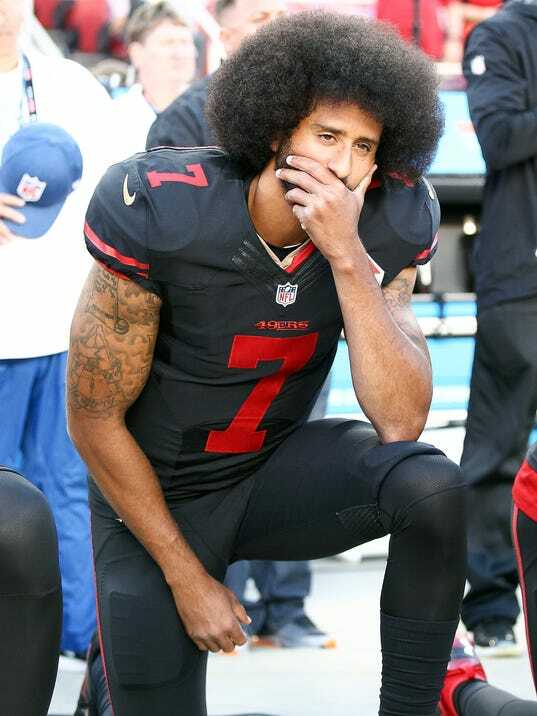 San Francisco 49ers coach Chip Kelly said Kaepernick will replacing Blaine Gabbert Sunday against the Buffalo Bills. Opportunity beckons for Colin Kaepernick, in both of the quests he holds dear. Kaepernick was elevated on Tuesday to the San Francisco 49ers’ starting quarterback, a move that will give the 2013 Super Bowl runner-up a chance to resurrect a career that has steadily lost steam. Yet it is Kaepernick’s much-publicized bid to light a fire under a national discussion about social equality and societal justice that comes even more sharply into focus now. It is one thing taking a stand, or a knee in this case, as a backup who only sees action once a game is decided beyond doubt, if at all. It is quite another to do so as one of only 32 men handed the steering wheel of an NFL franchise and its fan base’s hopes and dreams each weekend. More eyes, more cameras, more scrutiny, and a direct line to the American public every Sunday. Coach Chip Kelly’s decision to elevate Kaepernick was made for no reason other than football…. #DearAndy: How Impressed are you with TCU Senior Quarterback Kenny Hill?